The two men locked hands for so long that their knuckles began to turn white. 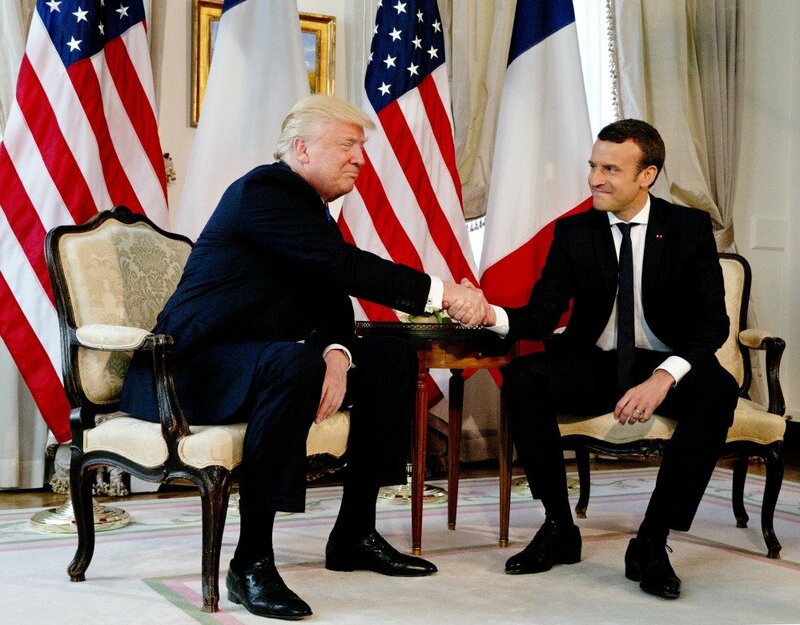 BRUSSELS – U.S. President Donald Trump met his match in a handshake showdown with France’s new president, Emmanuel Macron. Trump finally seemed ready to pull away – but Macron evidently wasn’t. The French leader held the shake for a few seconds more. Both men’s jaws seemed to clench. Trump’s aversion to hand-shaking seemed to lessen over the course of the U.S. presidential campaign. He’s now deep into an inaugural world tour that has forced him to exchange hand greetings with leaders from Israel to the Vatican. Macron won France’s election this month by positioning himself as the anti-Trump, embracing globalization and open borders and quoting philosophers. But as a 39-year-old who has never held elected office, Macron clearly was excited about the appearance with the U.S. president, which cemented his status as a new global player – and as a formidable hand-shaker.